July Chicago corn closed at $4.07 ½, up 2 ¼ cents. Threats against corn-ethanol subsidies are a concern but remain some way off for now. Of more immediate concern are planting delays in the Midwest and potential yield losses from cool & wet conditions. Trade estimates for tomorrow's weekly export sales are 800,000 to 1,200,000 MT. July soybeans finished at $11.18, up 17 cents. Tight old crop stocks, the ongoing problems in Argentina and firmer outside markets supported beans throughout the session. All eyes will be on Thursday's USDA export sales report to see if China still keep returning to the trough. Wheat finished slightly higher with July at $5.58 ¾, up 6 ¼ cents. Spring wheat planting delays in the US and Argentina about to plant their lowest winter wheat acreage on record are seen as supportive. Plantings in Argentina are seen down around 19% in the wake of a year-long drought and continued disputes between the farmers and the government over taxes. EU wheat futures closed flat to mostly higher Wednesday supported by rising crude oil and stock markets. Paris November milling wheat finished up EUR1.25 at EUR149.25/tonne, and London November feed wheat closed flat at GBP124.00/tonne. There is currently very little to get excited about with farmers remaining reluctant sellers ahead of a mixed outlook for new crop. 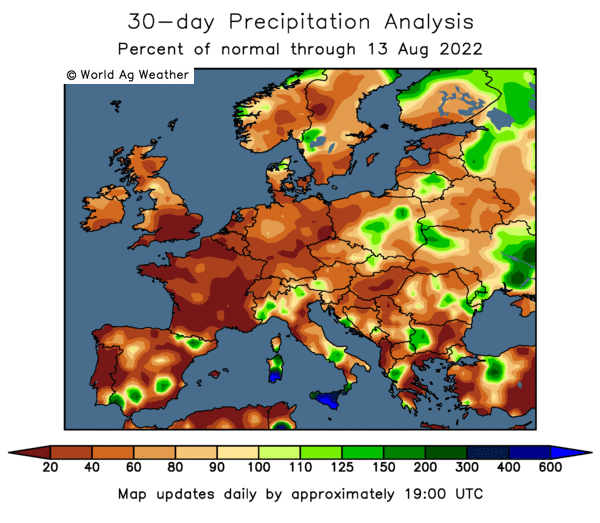 Still old crop stocks are plentiful, which will likely cap any rises from progressing too far unless weather problems materialise into a serious crop scare. Argentina is about to start planting its wheat crop in the face of a year long drought, with output now seen at 11 MMT, up on 2008 but significantly lower than original projections. Shares in NWF, the Cheshire-based warehousing, feed and fuel group jumped yesterday following the news that it expects its full-year results to be “significantly ahead” of market expectations after a good all-round performance during the winter. NWF chief executive Richard Whiting said: “NWF has continued to perform at record levels throughout the key winter months and, in particular, the team in the fuels division has delivered an exceptionally strong result. 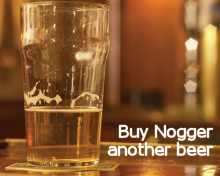 Shares leapt 14% yesterday to close up 11.5p, at 95p, and are currently up a further 8.5% this morning at 102p. 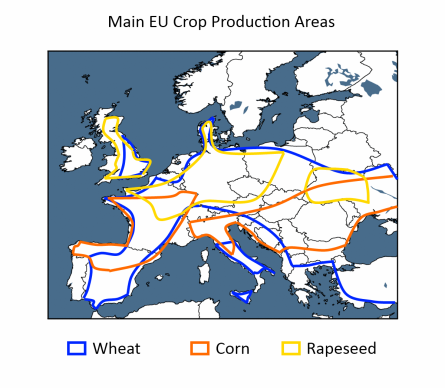 The US agricultural attaché projects the 2009 wheat production (including durum) in the EU-27 at 137.7MMT. This is below the 151.7MMT produced last year due to a lower harvested acreage of 25.8 (26.9) mln ha and lower yields. Barley production is estimated at 64.2 (65.6) MMT from a harvested acreage of 14.3 (14.6) mln hectares. Corn production is seen at 56.9MMT, down from 62.4MMT in 2008. Archer Daniels Midland Company yesterday announced net earnings for the quarter ended March 31, 2009 decreased 98% to $8 million, or $0.01 per share from $517 million or $0.80 per share last year. The figure including a $132 million non-cash after-tax charge related to currency derivative losses of the Company's equity investee, Gruma S.A.B. de C.V., and a $97 million income tax charge related to the Company's investment in Wilmar International Limited. Net sales and other operating income decreased 21% to $ 14.8 billion. May corn closed at $3.98 ½, up ½ cent. There are some concerns about the EPA’s proposed new alternative-fuel standard and that it could favour other fuels ahead of ethanol. Wet and cool weather continues to frustrate US farmers attempts to crack on with planting. May soybeans finished at $11.16, up ¾ cent. Whilst planting delays might be bullish for corn, the possibility is that they will lead to more US soybean acres. The old crop stocks situation still looks tight, but next week's USDA report is likely to show plenty of new crop ending stocks in the pipeline. May CBOT wheat closed at $5.41 ½, up 3 cents. Spring wheat planting progress continues to lag well behind normal, although yield potential in Kansas, the major HRW producer, looks promising. Weakness in soy & corn limited wheat's gains. 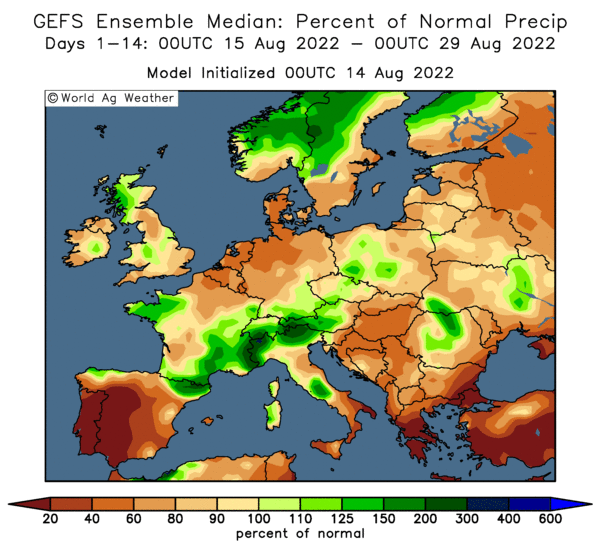 EU wheat futures nudged higher Tuesday, despite a sharply weaker dollar with Paris May milling wheat closing up EUR0.50 at EUR146.25/tonne, and London July feed wheat rose GBP0.25 at GBP114/tonne. Firmer equities, crude oil and a strong Chicago market outweighed the negative impact of a weak dollar to send prices modestly higher at the close. US spring wheat plantings remain well behind schedule, and the outlook for lower production numbers in 2009 is keeping traders cautious, with farmers only light sellers ahead of an uncertain outlook for new crop. 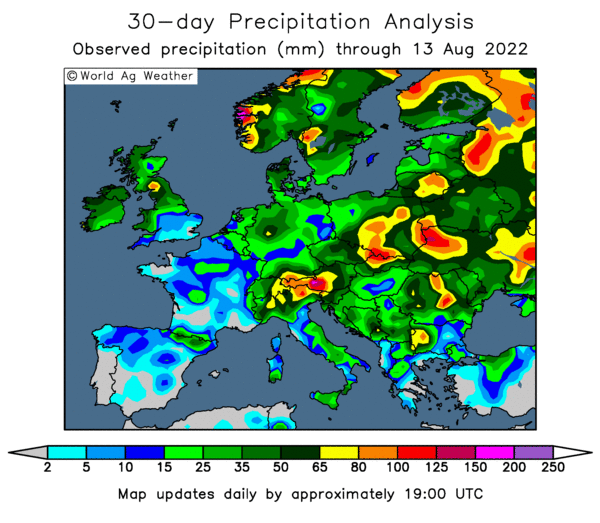 After a largely dry start to the year recent rains will have aided crop development in the UK, France and Germany, but more is needed if we are to get even close to last seasons bumper yields. Wet and soggy conditions continue to hamper US farmers' planting progress with just 23% of spring wheat, 33% of corn and 5% of soybeans in the ground so far. Spring wheat is normally 59% seeded by now, with progress in the US top producing state of North Dakota only 3% complete compared with 51% on average. The weather looks to continue rather cool and wet in the week ahead for much of the Midwest, before a brief surge of hot air out of the southern Plains creates warm-front rains a week from today, with the two forward-one back “two-step dance” continuing. A major warm-up mimicking summer shows 10 days out, according to Allen Motew of QT Weather.